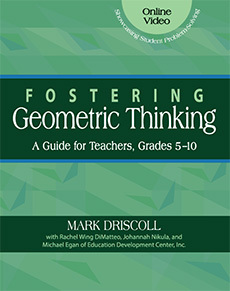 Geometric thinking plays a significant role in the development of spatial reasoning and visualization. 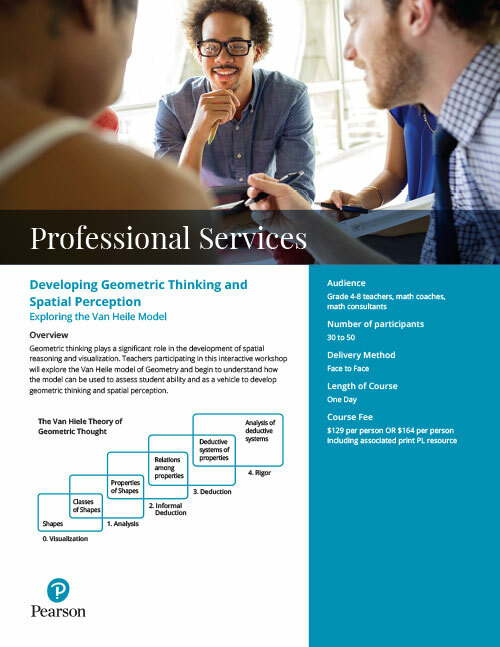 Teachers participating in this interactive workshop will explore the van Hiele model of Geometry and begin to understand how the model can be used to assess student ability and as a vehicle to develop geometric thinking and spatial perception. With this resource any math teacher can discover essential, practical ideas for helping students cultivate geometric habits of mind that lead to success in this crucial mathematical subject. The book focuses on rigorous, problem-based teaching that encourages students to deepen their thinking in three key geometric strands: geometric properties, geometric transformations, measurement of geometric objects.